Your technology must serve the goal of facilitating, not obstructing, incoming contact from driver candidates. Several years ago at MATS, I had the genuine pleasure of meeting dozens of recruiters—most of whom graciously accepted my card, and invited me to follow-up with them the following week. The trouble started when I attempted to actually do that. First, let me emphasize that I know how time-stretched recruiters are most days. But that doesn’t mean you can’t take simple measures to demonstrate your commitment to personally interacting with every driver candidate who reaches-out to you. 1. Insufficient Business Card Information. Over half the business cards I received last week included no direct phone number. Several listed no email address. To be sure, a powerful brand-messaging platform (deployed through an effective, integrated marketing campaign) is your greatest long-term advantage in attracting good driver candidates. But as I’ve pointed-out elsewhere in this space, actions speak louder than words. And the more barriers you place between yourself and good candidates trying to reach you, the likelier they are to give up on you. 2. Recorded Messages. Phone Menu Hell. The overwhelming majority of non-direct numbers I called were answered not by people, but impersonal recorded messages which invariably included the following: “Please listen carefully, because our menu options have changed.” Several of those menus sent me places I didn’t want to go. Bear in mind: Trucking companies are not falling over each other for my services. So if I found it aggravating to reach those individuals, how much more irritating are their phone systems making it for highly-desirable driver candidates (who know they’re in demand) to get them? As I’ve also pointed-out elsewhere in this space, way too many trucking company websites look like they were designed by Grampa Ned down at the retirement home in the mid-70’s. But even some of the homeliest sites I’ve seen offered one critical feature a number of technically and creatively first-rate sites lacked: Contact Us pages a single click away from the home page, with actual human contact names listed on them. On one breathtakingly-designed, hi-tech site in particular, I spent literally minutes clicking around—and never found a single individual contact name, email address or personal number. People are a lot likelier to call people than they are to call nameless, faceless Recruiting Departments. That doesn’t mean incoming calls to your published direct number can’t roll-over to the next available recruiter when you’re unavailable. But at least your personal outgoing message (and yes, it should be in your own voice) could give callers the option to either go to that next person OR leave you a message to call them back. Make it painfully obvious how mobile-savvy candidates can text you. On your business card, list the mobile number as “Cell/Text”, instead of just “Cell”—as a subtle reminder that people don’t necessarily have to take the time to call (and maybe get stuck on hold) in order to reach you personally. Dedicate a single cell phone in your department to incoming text messages. Publish its number, and, in your marketing messages, encourage busy respondents to save time by texting requests for call-backs. I recently ran that idea past a good friend in recruiting. He thought about it for a second, paused, and exclaimed, “Wow! Why didn’t I think of that?” Answer: Because I did. After all, that’s my job! CONTACT ME FOR A FREE INITIAL RECRUITING/RETENTION CONSULT! Great idea, but why wait until it’s too late? There’s no question that Exit Interviews can be an invaluable tool for improving driver retention. After all, you can’t address the valid reasons drivers are leaving your company until you know what they are. Having conducted more than 100 driver interviews myself over the years, I know one thing: Drivers will tell you what’s on their mind if you ask the right way. Which is why the Exit Interview business is growing — and why smart companies are investing so much in the service: Because it works. And it saves them a lot of money. I’ve always been astounded by how much some companies will spend on recruiting, and how little they invest in retention — particularly when you consider the total company cost to replace a single driver. All that said, as the title of this post indicates, I have to wonder why companies are paying good money for insights that come too late to stop drivers from leaving the company. Why not expand your interview program to include drivers who are still with the company? For starters, it shouldn’t come as a surprise to anyone that a significant percentage of unhappy drivers just want the opportunity to blow-off a little steam. In many cases, a well-timed, well-conducted call can make all the difference in a driver’s decision to stay or leave. Longtime industry veteran Thom Pronk couldn’t agree more. “Interviewing not only gives drivers the opportunity to express their concerns with a company, it gives them the chance to ask important questions on their minds. For instance,” continues the HR VP at Birmingham-based Boyd Brothers, “a new driver may need help navigating the company’s corporate structure — much less understanding the expectations their new employer has for them. Tom believes you should follow a standard outline in conducting driver interviews. I agree with him, to an extent: You certainly need to cover all the key issues impacting a driver’s job satisfaction, and anyone who’s been in this business long enough knows what those issues are. An Agenda’s Important, But . . . Some of the most valuable information and feedback I’ve gathered over the years came-out because I let drivers direct the conversation. I like to make my questions open-ended — allowing drivers to take our conversations to places that really matter to them. Which is often far afield from those standard issues. Again, most drivers will tell you what’s on their mind if you ask them the right way — and that takes what I call good interviewer “radar,” which (to be perfectly honest) you either have or you don’t. At The End Of The Day, Talk Is Cheap. Granted, you can’t act on every driver complaint. And yes, drivers are often satisfied just having the chance to blow-off steam. But a truly effective Exit Interview campaign has to start with a company-wide commitment to taking the actionable steps needed to improve driver retention. What’s more, Exit Interviews are just one component of a comprehensive, proactive Driver Retention program. I’ll discuss those other components in a future post. In the meantime, you can Click Here for a preview. ABOVE: An example of Facebook done right. That is, if they’re doing it like most trucking companies are. In the history of recruiting, there’s never been a better overall resource than Facebook for positively influencing the way truck drivers think about your company. 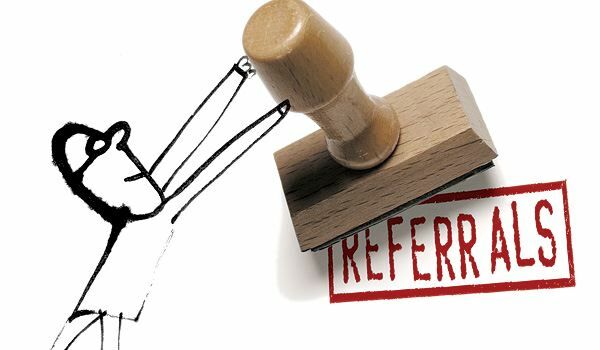 Except, of course, for Word of Mouth — and that usually comes at a cost; namely Referral Bonuses. For starters, it can be used entirely free of charge. And when it’s done right, you can reach more people faster, cheaper, and easier, than any other medium ever. So why are so many companies doing such a lousy job on Facebook? Based on the dozens of trucking company pages I’ve seen over the years, I’d say the main reason is: All they talk about is themselves. But isn’t that what you’re supposed to talk about? Let me clarify. Of course a company Facebook page is supposed to be about the company. But a well-executed Facebook page starts with an effective recruitment messaging strategy. And an effective messaging strategy starts with defining 1) What makes your company unique, 2) What kinds of drivers are the best fit for you, and 3) Why they’d be happy driving for you instead of the guys down the street. It’s not about you. It’s about your Fans & Followers. Again, your Facebook page is about your company. But more than that, it’s about your relationship with your fans and followers. Think of your page as an ad. Then remember this: A bad ad is all about you — and nobody reading your ad cares about you until they know what you can do for them. For starters, you can create a voice and a personality for your company’s Facebook page that speaks to your Fans and Followers like they’re friends. A good Facebook post is the start of a conversation; it’s not a speech. Once you’ve determined the company’s voice and personality, it’s a lot easier to judge the potential of any post — simply by asking, “Does that sound like us?” So if you’re writing or managing the company’s posts, you’d better have a good ear for that voice. If you don’t, hire someone who does. Consider this little company’s example. Baggett Transportation is a family-owned, mostly Owner Operator company in Birmingham, Alabama with about 130 drivers. They have an exceptionally effective Facebook page, if I do say so myself. We enjoy a base of nearly 4300 Fans — and added 50 more in just a single week prior to the day I wrote this blog post. Over the years we’ve published posts that reached up to 11,000 people without spending a penny in promotion. We’ve published others that reached more than 45,400 for a cost of well under 0.2¢ per person reached. As you can see from the photo above, that post (which linked to a Baggett Blog Article on one of their older drivers) reached well over 39,000 people. What’s more, it generated nearly 2400 clicks, 135 Likes, 32 Shares and 25 Comments — many of which were inquiries from drivers interested in joining Baggett. Compare that to a much bigger company across town. There’s a large trucking company barely 5 minutes from Baggett, who employs three to six times as many drivers. Their Facebook page has a following of 1835. Which is not bad, but when you consider the ratio of Facebook Fans to Driver Fleet Size, it’s about one-tenth to one-twentieth what it should be — assuming Baggett’s ratio is your benchmark. Worse still, they published 3 posts last October, one in November — and none since then (more than two months ago). I wouldn’t be surprised if they abandoned the page due to utter lack of Post Engagement among their followers. Which would be no surprise; their posts are pathetic. Altogether, that’s nothing short of negligence on the part of the page’s managers. So what are some of the tricks we use for Baggett? Consider that an unpublished trade secret — at least for now! In the meantime, if you’re looking to get more from Facebook for your company’s recruiting efforts, I’d be glad to offer you a few initial suggestions free of charge (as long as you aren’t a direct competitor of Baggett’s). You’ll find my contact information on the About Me page. A well-run apprenticeship program can be an excellent way to replace your aging fleet with loyal young drivers whose skills you know you can trust. After graduating high school in 1976 I was living in an old steel/manufacturing town where there were few employment possibilities. The only things at that time that interested me were truck driving and serving in the military. If I entered the military, they would train me to drive a truck, and when my enlistment was up I would be 21. So that’s the course I took, serving my country and being a truck driver in the military. How to Attract the Next Generation. I have been a professional truck driver for 28 years now, and increasingly I ask myself: How do we attract the next generation to the trucking industry? Simple. Take a page out of the past, invite them to join as an “apprentice”—where they can learn and experience the profession through paid, on-the-job training. How to Structure Your Apprenticeship Program. At Con-Way, apprentice drivers are offered a part-time 20 hour week working on the dock to provide them with income. The other 20 hours will be spent learning the industry’s rules, safety regulations and how to drive a truck—at no cost. When the candidate successfully completes the program, they’ll be offered the opportunity for promotion to full-fledged Con-way Driver. Additional Benefits: Producing Well-Trained, CSA Compliant Drivers. This program is designed to do much more than fill the seats of Con-way Freight’s trucks. When the student completes the program, not only will they have their Commercial Drivers License (CDL), they will have learned how to be CSA 2010 compliant. They’ll be among the best trained, safest and most knowledgeable drivers in the industry. Click on the following link to read the original article, “A Driver’s Story – Encouraging the Next Generation”, in its entirety. Maybe you’ve decided that developing an in-house apprenticeship program is too costly. You could ask your local trucking school if they’d be interested in co-sponsoring a program with your company. That might be a reasonable option, as long as you have an agreement protecting your investment. Here’s one idea: If a quality graduate from the program declines your offer and accepts a comparable offer with another company, maybe that individual would owe you the amount of money you invested in subsidizing his or her tuition. Here’s a better idea: Get suggestions from the fine folks in your legal department! From Recruitment to Fleet Management to Payroll, drivers get the truth. And nothing but. Interstate Distributor’s Tracy Caffrey doesn’t mind telling you something about her company that a Senior Recruiter rarely volunteers without being prompted. “We’re not perfect.” At the same time, having worked as both an independent recruiter and a staff recruiter for any number of companies over the past 15 years, she’ll just as quickly point out that no company is perfect. When the committee identifies problems that need fixing, and issues that need addressing, they take action. Consequently, Interstate enjoys an annual turnover rate of 40%—more than 60% lower than the current industry average for large fleets. So How Do You Keep Recruiters Motivated? And by “all”, Caffrey’s referring to a department with a grand total of seven recruiters—an extremely low number for a company as large as Interstate. Which raises the question: How does a recruiting staff of seven manage to fulfill all of Interstate’s needs? “When you have really good recruiters who know how to talk to drivers, you don’t need a large department.” And that’s the truth. 1) With the difficulty of finding banks to finance truck purchases, Lease Purchase programs are quickly becoming the only way ambitious drivers can become Owner Operators. 2) The folks at WTI are doing something right. Particularly when you consider how many of their Lease Purchase drivers successfully take title to their trucks. “The main thing is, we don’t treat our program as a profit center,” says Lease Purchase Director Jason Quinn. “We created it because we really do want to see more drivers become Owner Operators. “Our President Rendy Taylor has always said, ‘We can’t consider ourselves successful until a driver gets his title.’ That’s our philosophy. And drivers know that.” So what’s WTI’s secret? It’s no secret: They actually help their drivers succeed. HERE ARE THE FIVE FUNDAMENTALS OF WTI’S PROGRAM. 1) Minimize The Down Payment. Better still, says Quinn, don’t require any money down. It’s pretty simple, Quinn continues: If a driver can’t afford a large down payment, he certainly can’t afford a huge balloon payment. After all, Quinn notes, that’s where so many Lease Purchase drivers at other companies lose their trucks. 3) Pay A Decent Wage. And Make Payments Affordable. 4) Offer A Fuel Routing Program. A successful Fuel program combines maximum fuel surcharge with solid MPG practices, says Quinn. 5) Teach Drivers Good Business Practices. “We think this is one of the real cornerstones of our program,” Quinn explains. “There’s a huge learning curve for anyone taking the leap from Company Driver to Owner Operator, so we created a Business Planning support system, to monitor our Lease Purchase drivers’ success in several key areas. Each Fleet Manager regularly reviews, with his drivers, a chart he keeps on those areas. Over time, the areas he’s marked red (problem) and yellow (potential problem) start turning green.